Cleveland Central Catholic’s Campus Ministry team offers a retreat for each grade level so that our students can grow on their faith journey. Freshmen retreat is done off campus and involves working together in team building activities on a low ropes course. It is led by seniors who spend the afternoon welcoming our freshmen to CCC and imparting some of the wisdom they have learned about high school in their years so far. This retreat also allows for a lot of our freshmen to meet some of their new classmates. Sophomore retreat is broken up over two days for the students. They spend a half day learning about the need for service in our area and what Christian service means. Part 2 happens later in the year where each theology class spends a day off campus at a site that helps the community in some way. Junior retreat focuses on moving up as upper classmen and preparing for their roles as leaders of the school. It is done in the spring off campus and students hear witnesses about overcoming obstacles to God’s love and figuring out how to live a fulfilling spiritual life as mature adults. Senior retreat happens off campus as well and our seniors spend a day of reflection looking back on their years at CCC and looking ahead to what is to come next. It is a time spent seeing where you have come from and where you are going, the next chapter in your life. The Campus Ministry team is Linda Ziska: Theology Department Chair and Campus Minister, Matt Wallenhorst: Social Studies and Theology teacher and Campus Minister, Cindy Webster: Theology teacher and Campus Minister. The group hosts Summits on major issues such as poverty and modern forms of slavery that CCC students have attended as well as the National March for Life in Washington DC and a Rally for Life in Downtown Cleveland every October. 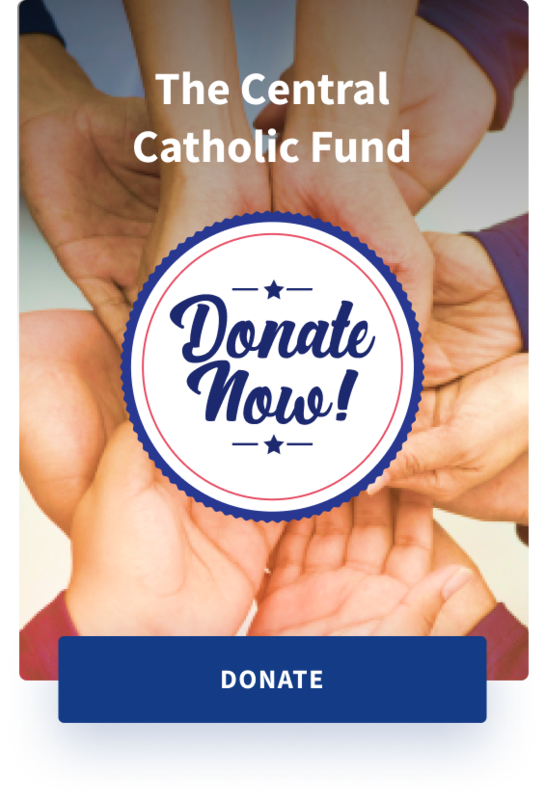 The Campus Ministry also plans all the liturgies and prayerful experiences that students at Cleveland Central Catholic have and runs clothing, food and money drives for different causes throughout each school year.